As you can see the memberset of the Coherence cluster contains 12 machines, while this OSB domain only excists of 2 managed servers (rbxdev23 and rbxdev24). The other machines are part of different development and test Oracle Service Bus domains (yes we have multiple OSB domains). Inspecting the other loggings show identical behaviour on all OSB managed servers mentioned. It looks like Multicast is used and looking at the individual machines ip-addresses you can guess that all these machines are part of the same network subnet. Logging shows only 2 managed servers left in the Coherence cluster. I don’t really understand why Oracle decided to use Multicast as default for their OSB-Cluster coherence configuration. Personally I hate Multicast due to earlier experience, so that is more of a gut feeling. 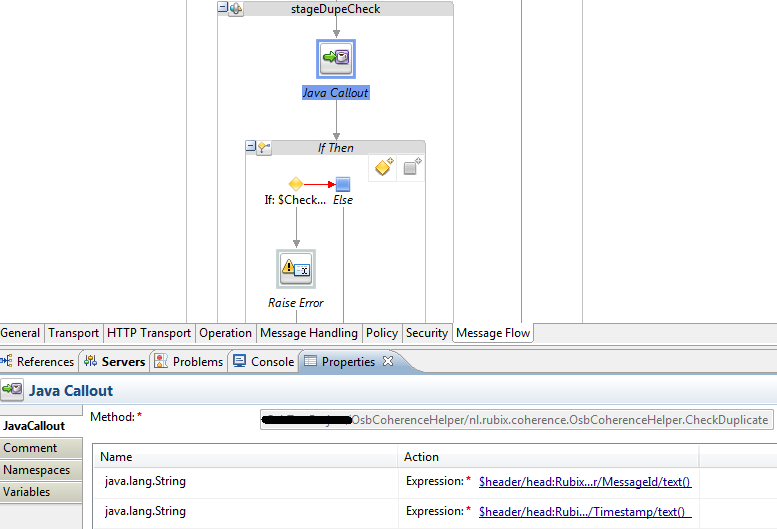 Maybe for Weblogic servers running Java Applications using Coherence it’s the best default. I don’t know. But for the OSB-Cluster coherence which is used for Business Service caching I don’t see the point. When you create a domain (or extend it with the OSB template) all the information is there at the moment it’s config.xml and other files are created/extended. Why not go the extra mile and make sure that the OSB coherence cluster uses unicast (with well-known-address) as default instead of the multicast mechanism ?